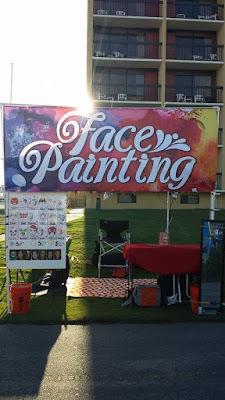 Art Factory Body Art & Party Place: Face Painting for Festivals Series: Part 2- Preparing For Your Festival! Wow! So hopefully you now have your perfect festival coming up. ( If you're interested in getting a festival, please refer to this blog post. ) Now what are you supposed to do?! Do you just buy a bunch of stuff? Do you show up and hope for the best? Do you take a table and chairs and maybe an umbrella and call it a day? Don't fret my darlings! We are going to figure this out together. Mama Bird is here, and I am going to tell you everything that you need to think about when it comes to gathering your stuff for a festival! So! There are a few things that you probably need to have for festival work. Unless your festival is inside, you'll need some kind of shelter from the elements. There are lots of tents available on the market, but the one that I recommend (from experience) is the EZ Up brand tent. It's 10 foot by 10 foot, and has a white canopy(this is super important, more on that in a bit.) 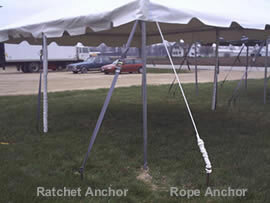 It comes with side walls(perfect for blocking people, sun, bugs, and light breezes,) and simple tie downs. It's easy to set up with two people(though it is possible with 1, it just requires some muscle) and won't break the bank. Now, why is a white canopy important? Let me explain this with a story... The first fest I did, I borrowed a tent. I was 18 and broke, and I was thankful for the help. HOWEVER, the canopy was pink (which was cute) and when the sun shined in, it made the colors of my paints look different! My greens looked brown, my reds and pinks all looked the same... To say the least it was a total pain. I bought my own tent eventually and made sure it was white. Also, it's important to note that some fancier fairs require tents to be white, and some specialty fairs(think renaissance) require them to look hand built. You'll have to pick the tent that best suits your needs. If your event is indoors, I would recommend trying to find out before hand if it's dark in your booth area, sometimes you'll need lights and sometimes you won't, but it's better to be over prepared right? If your event is outside and goes on past sunset(a lot of fests do) then you'll need some lighting! 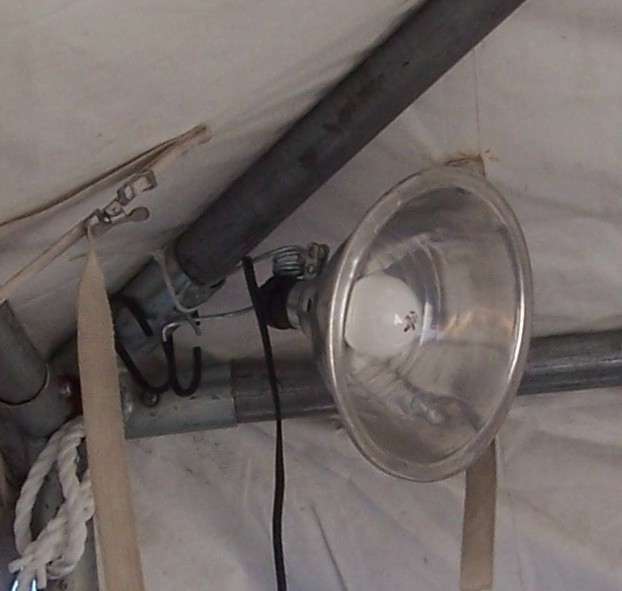 Good lighting could be ropes lights that you wrap around the tent frame, LED lamps that you hang up, or just good old fashioned clamp lights and bulbs. 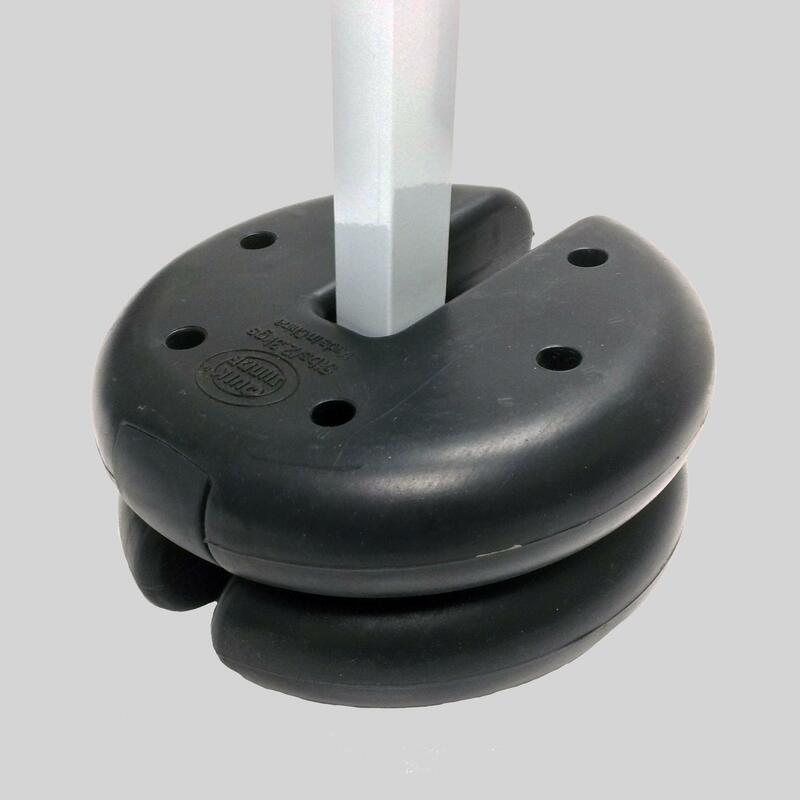 I use clamp lights because I can put them where I want and point them in the direction that I like. I also like to point one directly at the canopy, because the light hits the white roof(see, the white roof is handy!) and disperses the light all around. The best places to find lights are at the hardware store and the internet.. I found all of mine at Home Depot(because it's 5 minutes from my house...) Just remember, if you get lighting you will also need a power source, so get extension cords, power strips, batteries, etc. Remember to check the color of the lights! You don't want a weird color that will make your paints look off. Some fests will charge for access to power, so keep that in mind when adding up your costs. In fact, you can buy that actual sign from The Art Factory! It's also a good idea to get signs for the side of the tent as well, so that people can see you from any side. 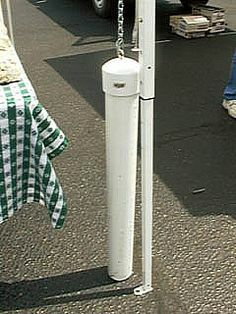 To make the sign holder frame, I just bought conduit pipes and made a frame to fit my tent. The pipes are nice because they fit together like tinker toys and can be cut by hand with a conduit cutter. Buy Face Cards, pick the designs you want and stick them on the board( I recommend the Festival Faces set, the Park Favorites set, Mystical Girls set, and the All Boys set.) If your fest is outside, it's best to laminate your Face Cards so that they won't be affected by the weather. OR- Take the NICE pictures from your phone that you have painted(make sure they are well lit, show the face, and are all about the same size of face in the pic) and get them printed. I would have them printed at least post card size, or bigger. Then laminate them to make them stiff and use those on your board. You can even use a free pic editing app to add the name of the design to the pic before having it printed. I use the Walgreen's app on my phone to upload them directly to Walgreen's and then pick them up an hour later, ready to go. Here is what an all Face Cards board looks like... I KNOW IT'S AWESOME! Choice boards should also show VERY CLEARLY how much a design costs. I use a color system like Lacey(see above photo) where I have a color with a price and then a colored dot on the picture to show what price category it falls into. Okay, we have our tent, lights, signs, and now we need... pretty much the most important stuff. This will include tables, chairs, paint kit, and tablecloths. Bring everything that you would normally need for a gig, and make sure it's heavy enough/secure enough that it won't blow away in the wind. I don't think that I can really explain this section too much, just bring what you will need to be able to paint the designs on your board. These are the fun things, like flags, decorations, rugs, etc. 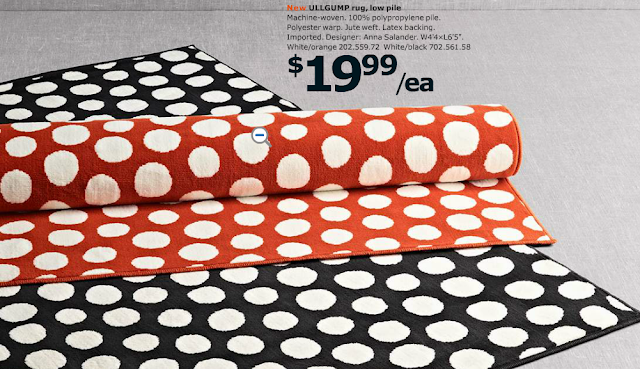 I like to bring a polka dot rug(from Ikea) and put a foam mat under it so that it's super comfy to stand on all day. Feel free to personalize your booth however you want, but just remember wind and weight. Wind because it shouldn't be able to blow away, and weight because you have to carry it out and there and carry it home. YES, and this stuff is SUPER IMPORTANT so pay attention!!!! Well peeps, that's your packing list! Aren't you glad I did that for you? Now print it, link it, save it, share it! Did I miss anything? Let me know if the comments! 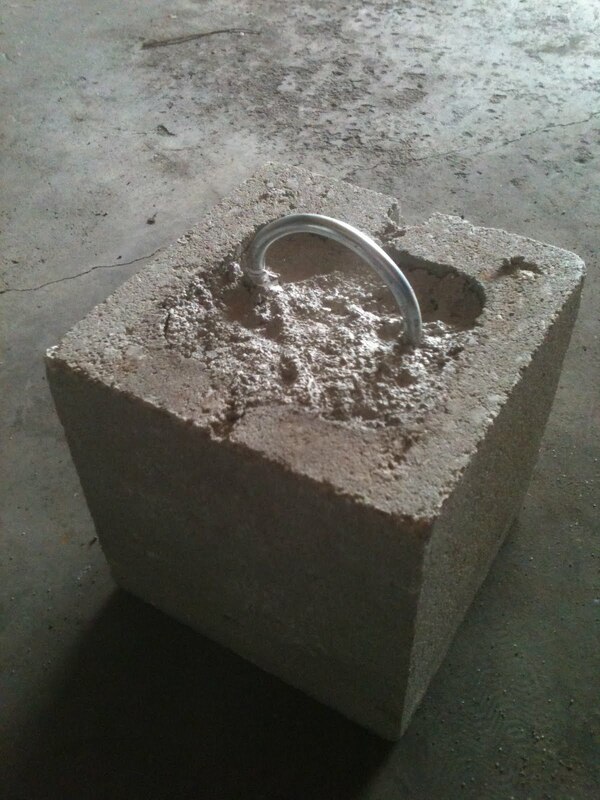 Next post: Setting up your booth for Success! I have an event this weekend.....thanks so much for this fantastic article! It will help so much as I prepare everything this week! Great! I hope that your event was a success! A great power source is a car jumpstarter. Most have a light already included, you can plug in additional lights, and mine even has a USB port to charge my phone. Multitasker!! Ivy, wow! I hadn't thought of that! What a great idea! I wonder if it could run a fan??? lol! Great article. Been doing festivals and fairs for 10+ years and they are my favorite way to make money. 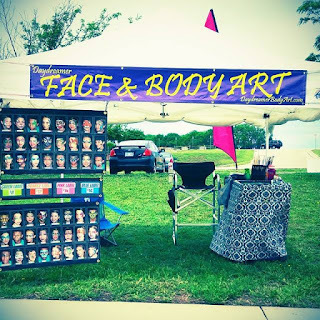 Went from sharing a tent with my hubby's VVA group helping them raise money, to my own 10 X 10 starter canopy at my own events when I started to realize that I was bringing in $800 -1000 just for face painting $2-5 faces at the time, to expanding into glitter tattoos and airbrush tattoos and needing two spaces just to house my setups and displays this year. Working on creating a way to condense what I bring and quick and easy set ups. I also bring 100' of heavy duty extension cords and power strips as I need lighting at many of my events as well as my compressor. Hubby has my electrical hook ups to a science. 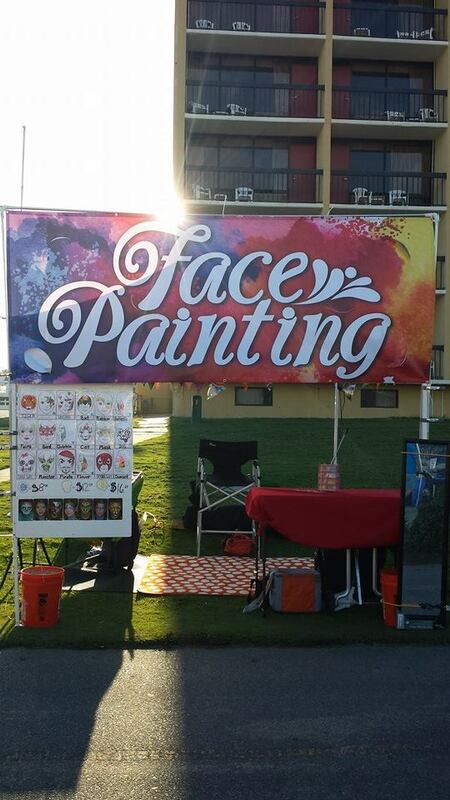 �� Hope to eventually do airbrush T's at these types of events. I feel like a traveling retail shop. Time to get a trailer! And more help! Another thing I have is a portable office in a zipable 3 ring binder. I keep my contracts and other paperwork in it, pens, markers, scissors, tape, signs, insurance, etc. I also made up sheets to keep track of mileage, costs for the event, how much I made at that event, dates & times and comments. It helps at tax time and let's me know the particulars for each event. Heck yea! You are on top of things! Good job! I love that you take notes! It's so awesome to compare notes from year to year! Thanks Mary! When I do a follow up post, I'll be sure to mention them! Also use tent wall bars (need 2 sets) so I can have 1/2 walls - great for the viewing gallery & allows air circulation on those hot days! yes, this is what we used for our big fairs before Dawn purchased her amazing face paint trailor! Walls are a life saver!